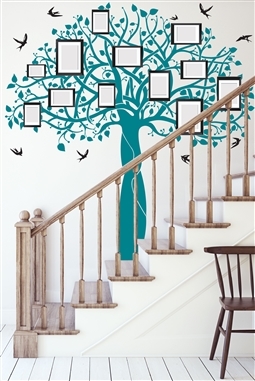 Bring your love of nature indoors with any of our gorgeous Tree Wall Decals. From whimsical to natural, modern to fantasy, we have everything you need to turn your home into your own custom art paradise. You’ll find a wide variety of vinyl and reflective trees and tree branches from worldly destinations like Africa, far away islands, and unique designs. We also offer decals for the holidays to amp up your seasonal decorations. 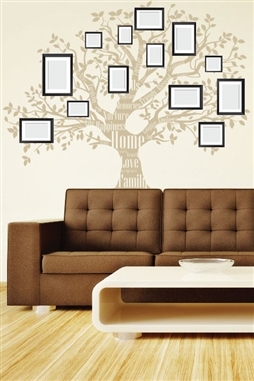 Our wall decals are made from high-quality self-adhesive vinyl that’s easy to. We also can make your custom designs come to life in semi-permanent or easy to remove and re-apply media. Choose from any of our standard soft, matte finished colors or go for our amazing reflective look for a dazzling complement to any room. Plus, these designs are easily customizable with custom colors to match any room decor or sizing to fit any area perfectly. Browse today!